Don’t miss this year’s Annual Meeting Dinner and Elections! Monday, April 29, 2019, 5:30 – 7:30 p.m.
DWPC trivia contest, and much more! Spring is that wonderful time of renewal, and DWPC is no exception. 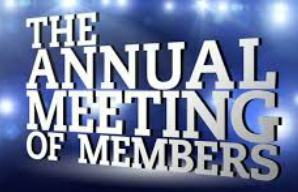 This year will mark our 121st consecutive Annual Meeting, where we will once again gather to bask in our glorious accomplishments for the year, elect new officers, and set new and lofty goals. Most of all, it’s a chance to relax and re-connect with old pals and make new connections. The garden’s spring bulbs and trees are budding, and our clubhouse has never looked so elegant and inviting, thanks to our year-long ReDeco Project. Denver Woman’s Press Club is your organization, and we encourage you to come listen, share your ideas, and get involved in our work. The Annual Meeting highlights DWPC’s accomplishments and is the perfect time to introduce potential new members to the club!